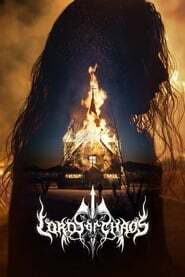 Lords of Chaos is described as the story of a young man who wants to give a new twist to the black metal scene in Oslo, Norway, an objective that brings fatal consequences for all involved. Based on the book of the same name written by Michael Moynihan and Didrik Søderlind, Lords of Chaos has caused controversy since its publication, but according to the first reactions of the 2018 Sundance Festival, the film will also give much to talk about when it is officially released. If this is the first time you hear the name of this project directed by Jonas Åkerlund -better known for making music videos for artists such as Metallica, Roxette and The Rolling Stones-, we tell you that the story of Lords of Chaos is based on real events Mayhem, a metal band from Norway that caused excessive violence in that country. Lords of Chaos stars Rory Culkin (Scream 4), Emory Cohen (Brooklyn), Jack Kilmer (Two Dangerous Guys), Sky Ferreira (Baby Driver), Valter Skarsgård (Bill and Alexander Skarsgård’s younger brother) and Anthony De Tower (Pirates of the Caribbean: Salazar’s Revenge).